“The greatest ornament and addition to the town of Sutton, is the house of William Jesson, Esq; most remarkable for its neatness of situation” - so wrote the anonymous “Agricola” in1762. 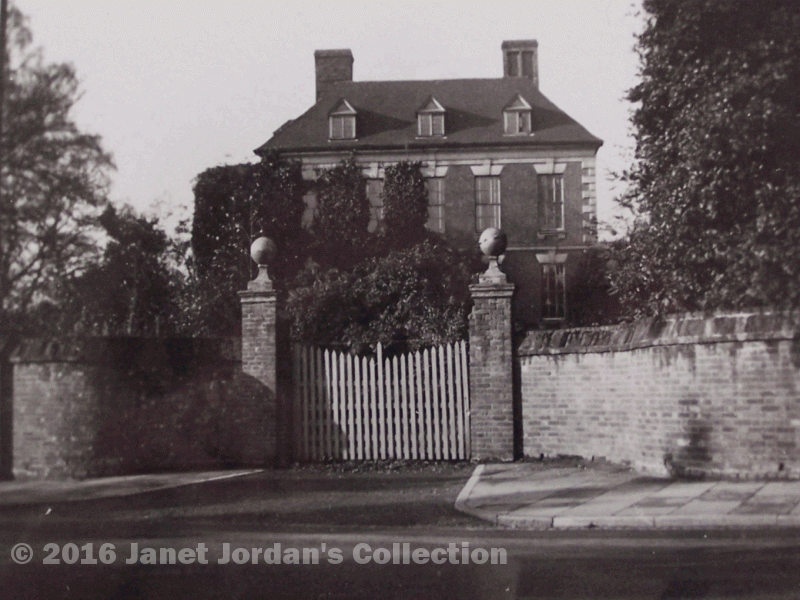 The author is referring to Rookery House which was demolished in the 1950s, Sutton Police Station now standing on the site in Lichfield Road. The Jessons of Langley Hall were very wealthy, but the ancient hall had become out-of-date and uncomfortable by 1700, so William Jesson built a brand new house. It was in the Queen Anne style, nearer to the town centre, in the fashionable part of Sutton, opposite his mother-in-law’s newly-built Moat House. William’s son Pudsey Jesson lived in style at the Rookery, as did his grandson, another William, who died 1786. His daughter Elizabeth inherited, and she let the house to tenants. The first of these was William Carey, elected Warden of Sutton in 1788, succeeded in 1789 by another Warden, Humphrey Arden. The Rookery’s next tenant, Miss Everitt, opened a girls’ school there in 1811. The famous Birmingham artist, David Cox was acquainted with Miss Everitt, and a watercolour of the Rookery by him is now in the collection of the Tate Gallery in London. Cox gave lessons to another Birmingham artist, A.E.Everitt, (1824-1882), no doubt a relative of Miss Everitt - he painted many street scenes in the Birmingham area, including Sutton High Street in the 1850s. Miss Everitt was probably assisted at her school by the Miss Webbs, daughters of the headmaster of Bishop Vesey’s Grammar School - Ann and Mary Webb taking over the tenancy of the Rookery in 1820. The Miss Webbs continued the girls school for a while, and purchased the house when it was sold on the death of Elizabeth Pudsey Lynch in 1830; they added the two-storey bay at the side of the house. The 1841 census gives Ann Webb, a 60-year-old lady with a private income as the occupant. Ann died in 1861 and her nephew inherited, letting the Rookery out to a number of high-class tenants until it was bought in 1871 by William Henry Tonks, a Birmingham brassfounder who employed nearly four hundred workers at his Moseley Street factory. The Tonks family remained in possession of the Rookery until 1934, when Annie and May Tonks sold it to Sutton Borough Council for £6,000. One of the Tonks daughters continued to live there for a time, but its days were numbered; and the Rookery was finally demolished in 1957. The classic frontage of The Rookery taken from Lichfield Road, c.1940. 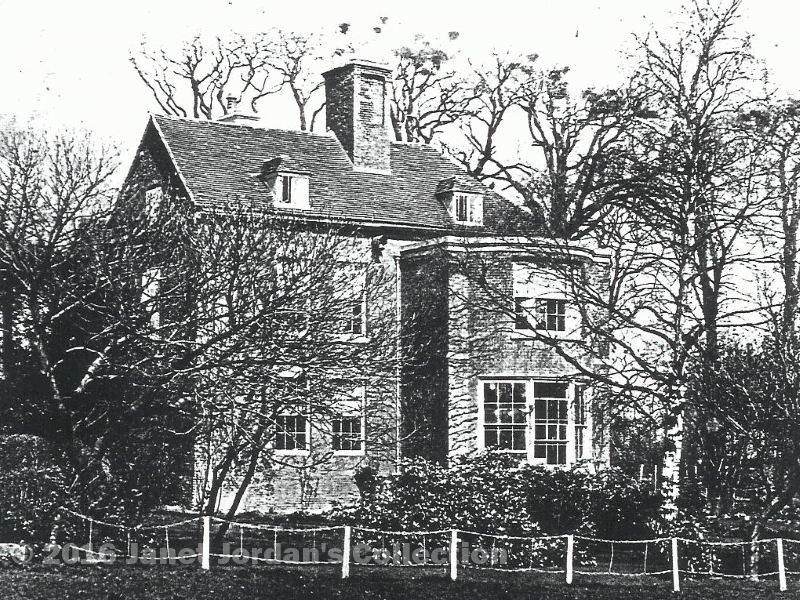 Side view of Rookery House, c.1890, showing the 1830s extension and the rookery in the trees behind.